ENB On The Side @ UNFCCC COP-7: 29 Oct. This event provided an overview of the status, scope and possible future directions of GEF capacity-building efforts in response to Convention guidance. Avani Vaish, GEF, describes the GEF's Capacity Development Initiative. 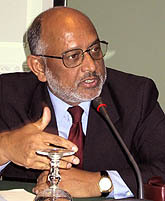 Avani Vaish, GEF, described the Capacity Development Initiative (CDI), an 18-month consultative planning process launched by the GEF with UNDP in January 2000. The objectives of the CDI were to prepare broad strategic elements for international support for capacity building to address climate change, biodiversity and land degradation, and to prepare an operation-oriented framework for focused and specific GEF action to assist capacity building. The CDI conducted an assessment of common capacity-building needs in developing countries and economies in transition, and developed a framework for specific GEF action to address these needs. It identified several operational principles for capacity building, including: national ownership and leadership; multi-stakeholder consultation and decision making; integration into wider sustainable development efforts; a holistic approach; partnerships; learning-by-doing; and regional approaches. Vaish explained that the CDI resulted in new methods for recipient countries to access GEF resources for capacity building. Initial self-assessment of capacity needs is one such method, and has been approved by the GEF Council. It provides expedited approval procedures for requests of up to US$200,000, and makes available grants of US$25,000 for least developed countries (LDCs) and small island developing States (SIDS) for the preparation of proposals to carry out self-assessments of capacity needs. Annie Roncerel, UNITAR, outlines the Guide for Self-Assessment of Country Capacity Needs for Global Environmental Management. Other proposed methods, which are undergoing further consultation, include a programme for critical capacity-building activities in LDCs and SIDS, targeted capacity-building projects, and enhanced attention to capacity building in regular projects. Vaish emphasized that these projects do not displace the GEF's enabling activities. 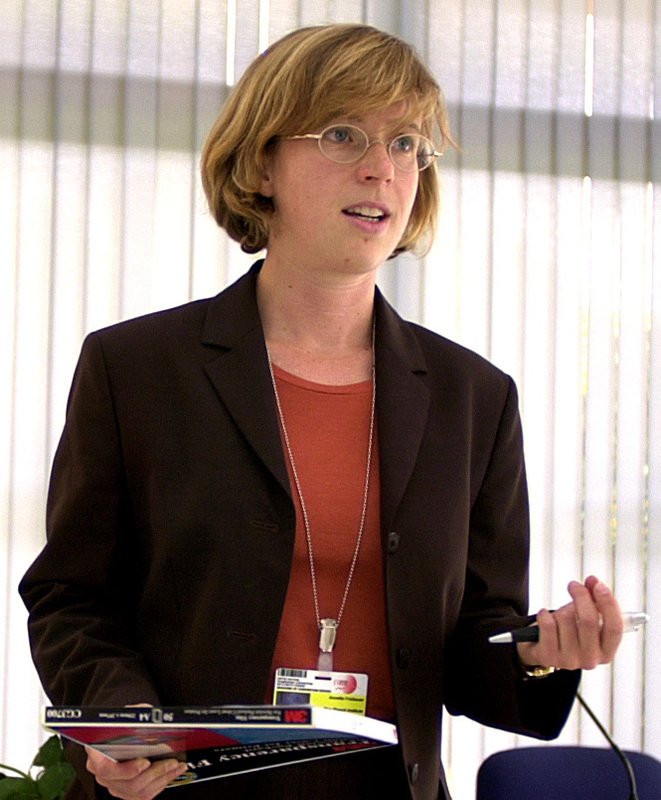 Annie Roncerel, United Nations Institute for Training and Research (UNITAR), provided an overview of the Guide for Self-Assessment of Country Capacity Needs for Global Environmental Management, which outlines methodologies for assessing capacity-building needs. The Guide describes how to: design and execute national capacity needs self-assessments (NCSAs); conduct capacity self-assessments for climate change, biodiversity and land degradation; prepare an NCSA document; and identify next steps. Discussion: Participants discussed the role of national focal points in the assessment process and the importance of broad consultation, the need for assessments to be country-driven, the efficiency of regional approaches, the need to ensure equitable distribution of financing for capacity building to all developing countries, and means for making the consultative processes more inclusive. Kristi Varangu, IEA, outlined past, present and future policies and measures to save energy and reduce greenhouse gas emissions. She highlighted several possible policy options, including the use of taxes and market mechanisms to encourage sequestration and fuel-switching. She explained that IEA member countries are using a variety of policy instruments, such as tradeable permits, and regulatory measures to increase energy efficiency in the transport, industry and energy sectors. 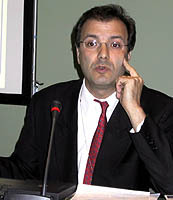 Varangu concluded that while the overall level of mitigation resulting from existing policies remains indeterminate, current trends suggest that they are inadequate to halt growth in emissions. Lewis M. Fulton, IEA, presented an IEA publication on options and strategies for saving oil and reducing carbon dioxide (CO2) emissions in the transportation sector. The book discusses potential policy options in: new light-duty vehicle fuel economy; on-road fuel economy; vehicle travel reduction; alternative fuels; and freight transport. Fulton highlighted effective policy options, including: fuel economy improvement; in-use fuel economy; innovative parking measures; toll rings; and subsidy reform for bio-fuels. Kristi Varangu states that there is no apparent link between cost estimates and policy choices. Lewis Fulton concludes that packages of reinforcing measures are key to cost-effectively reducing CO2 emissions from transport. Benoit Lebot introduces the IEA publication "Things that go bump in the night: Standby power and how to limit it." Benoit Lebot, IEA, presented findings on energy savings and reductions in CO2 emissions from appliances. 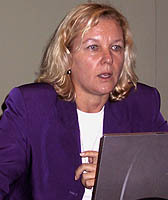 Lebot stated that since 1990, OECD residential electricity use has grown by 23 percent. Policies considered to ameliorate the increase include: building codes; minimum energy performance standards (MEPS); labeling; market transformation programmes; financial incentives; and research and development. Lebot concluded that codes and standards deliver large, predictable and lasting savings, and that labeling and MEPS can be cost-effective means of reducing emissions. Naomasa Murakoshi, National Space Development Agency of Japan, described the Integrated Global Observing Strategy (IGOS), a partnership between various international agencies which aims to develop global observing systems for ocean and terrestrial carbon sources and sinks. IGOS produces comprehensive global, regional and national data to support the environmental information needs of scientists, operational environmental programmes, and national and international decision makers. Annette Freibauer, Max-Planck-Institute for Biogeochemistry, emphasizes the importance of harmonizing national observation systems. 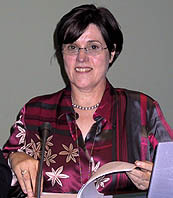 Annette Freibauer, Max-Planck-Institute for Biogeochemistry, described the IGOS Integrated Global Carbon Observing (IGCO) initiative, launched in June 2001. The aim of the initiative is to develop an integrated strategy for global carbon observing systems to further the understanding of the global carbon cycle. IGCO also aims to provide diagnostics of the global carbon cycle, which can be useful for monitoring and verification of compliance with the Kyoto Protocol. 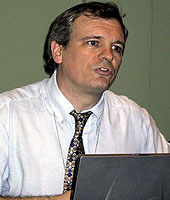 Freibauer concluded with five preliminary recommendations for the scientific community and funding agencies: improve existing data; fill in gaps in under-sampled regions, including tropical continents and the southern oceans; develop a modeling framework of various spatial and temporal resolutions, with a focus on linking scale-crossing techniques with advanced process studies to diagnose carbon cycle fluxes and their evolution; develop a multiple constraint approach in a systematic way; and establish a process to build confidence in necessary techniques, including the validation of technologies such as satellite CO2 column measurements. Alan Thomas, GCOS, highlighted the importance of integrating observation systems and addressing deficiencies in the observation systems of non-Annex I countries.